Purchasing a new front door can be can be a very daunting event so understandably alot people may need guidance as to what would be the best option for them. This is why we work closely with some of Europe’s top manufacturers of front doors so we can provide you with an unbeatable range of elegantly stylish yet secure products. Whether you are looking for a contemporary or traditional look, all of the doors we supply are backed by expert engineering, have outstanding thermal values and meet the highest security ratings. An astonishing 67% of burglaries are attempted through the front door – so it has never been a better time to keep your home safe from unwanted visitiors! Below are just a couple of our suppliers, but more are available upon request. 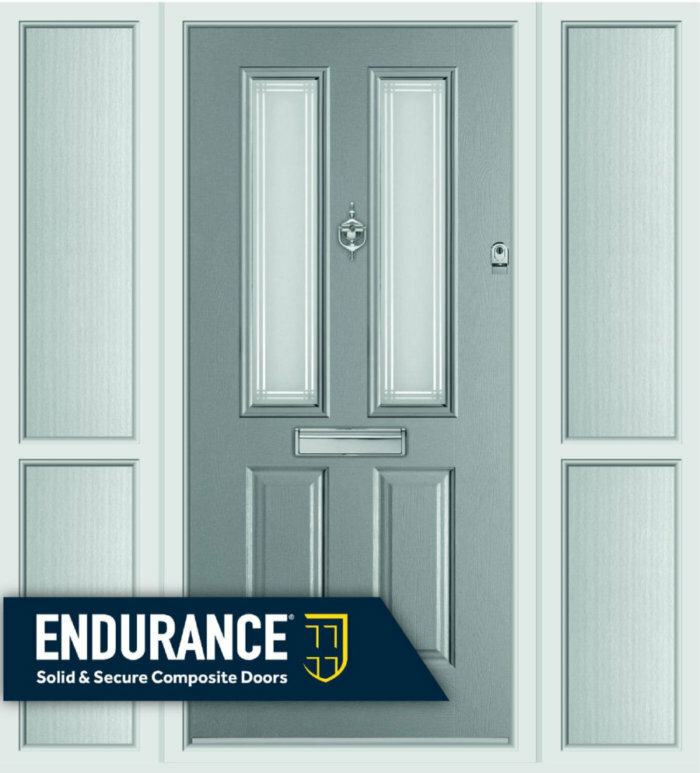 Endurance composite doors are renowned for their strength and security, the 48mm thick cross-bonded veneered laminated solid timber core delivers unrivalled strength and stability and is a natural choice for high security. Endurance doors are made up of 17 laminations making the door nearly 10% thicker than most composite doors. Over 70 Unique Designs – an impressive selection of composite doors styles with a wide of complementary accessories and glass designs. Secured by Design products. The Endurance door range has been designed, tested and achieved this standard. All Endurance doors are glazed with 4mm toughened safety glass, either double or triple glazed. 3 star lock cylinder, the highest security rating you can get. Its anti-pick, anti-drill, anti-bump and anti-snap. Only way through an Endurance door is with a key. 18 eye-catching colours to choose from. 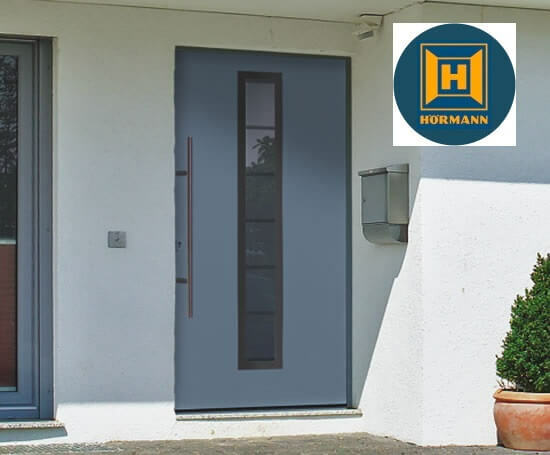 Hormann are one of Europe’s leading provider of garage doors, front door and operators. From the inexpensive steel ThermoPro range – a front door with steel door leaf and aluminium frame offers good thermal insulation values and high break-in resistance with a 5-point security lock. To the exclusive ThermoCarbon – a range of carbon glass-fibre doors that are at the top of its class in terms of security and thermal efficiency, with U-values of approx. 0.47 W/(m²·K) and superior RC3 security equipment as standard. And the ThermoSafe range – Particularly high thermal insulation thanks to a 80-mm aluminium door frame with thermal break, standard RC 3 security equipment with a 5-point security lock and a selection of over 70 styles . By comparison against any performance criteria – air tightness; water tightness; mechanical strength; stability under wind loading; acoustic and thermal insulation; resistance to forced entry etc – Hormann entrance doors are demonstrably superior in service to plastic or timber types. The majority of the Hormann garage door designs have exact or complimentary entrance doors in either contrasting or matching finishes and colours. Groke is a pioneer of the aluminum industry in Germany. The company is one of the leading manufacturers in the building component industry and makes aluminum entrance doors using timeless modern designs and colours. However, classic styles are not neglected, as can be seen from the wide variety of different models. Groke has over 100 years of experience in metal work. This rich heritage of quality and craftsmanship, combined with today’s latest technology, is what creates a truly innovative and unique entryway for your home or building. For generations the company has manufactured a wide range of durable, high-quality products at attractive prices, and it is also defending its market-leading position with flexibility and a reliable delivery service and by developing its own advanced aluminum profile system for entrance doors.